2015 was a magical year for the country. With easily the greatest junior team Denmark has ever sent, with the likes of Nikolaj Ehlers, George Sorenson and Oliver Bjorkstrand leading the team into the quarter-finals for the first time ever. In 2016, they did it again. 2017? Shockingly, for the third time. Heck, they finished second in Group A last year, and even beat Finland… in regulation. This time, don’t look for for another glory year. Denmark enters the 2018 tournament with a team without a star, something they’ve had on their side for the past few seasons. The thing about teams facing relegation is that they typically have a player or two that, above and beyond, steal the spotlight for their nation. Goaltending: Like with Belarus, this is the most important position in the long run for the Danes. In three games at the Four Nations tournament in Latvia in November, Kasper Krog had the worst result on any of the three goalies Denmark dressed in the tournament (he played against Belarus, who won the tournament), but does have experience at the World Juniors from last year. He had a decent three game stint, which included him being in net for a tremendous performance over Finland early in the tournament for Finland’s most impressive victory to date. If Krog doesn’t pan out, William Rørth could be the answer. Rørth had a nice Under-18 World Championship performance and did shutout Latvia at the Four Nations tournament, but Latvia also finished the three-game tournament without a point. Defencemen: The defence will need to be doing a lot of running around this year, but it looks like they have some decent options to stand up to their opponents. One guy in particular, Malte Setkov, literally stands at 6-foot-6, so, there’s that. Detroit’s fourth-round pick in June, Setkov is a two-way defenceman who excels at jumping into the play and contributing on the power-play, something the team will really need to take advantage if they want to score a few surprise goals. Then there’s undrafted prospect Oliver Joakim Larsen, a blueliner who will want to sneak his name onto NHL radars through the event. A big, physical presence, Larsen will be more of a shutdown player for the Danes, at least compared to Setkov. He’s had a strong season in Sweden, however, putting up seven points in his first 12 U20 games with Leksands and scored a goal early in his time with Leksand’s Allsvenskan squad. The rest of the defence seem to be interchangeable. Jeppe Mogensen, a member of AIK’s U20 junior team in Sweden, looked good in Latvia at the Four Nations tournament and had a solid outing with Denmark’s U18 team a year ago, too. Jakob Jessen was given top pairing minutes during the pre-tournament, and that may not look great given they lost 13-1 to Sweden a week before the tourney began. Still, he’s a smooth skater and he’s been solid in his first season in the top Danish league and has lots of experience playing for Denmark internationally. Forwards: Alright, so Nikolaj Eh… nope. Oliver B… nope. Alexander True? False. 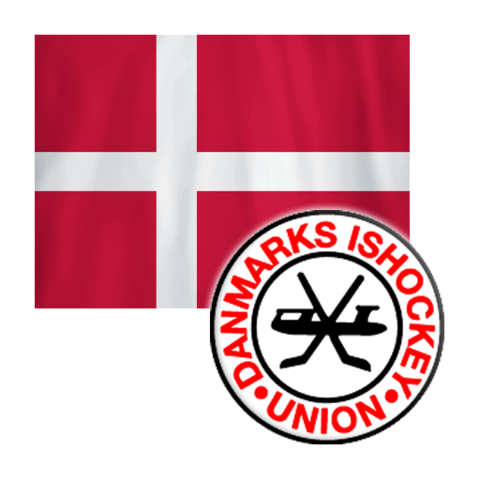 Denmark’s biggest challenge in the tournament will be figuring out how to put pucks in the back of the net, something that actually seemed impressive on their end over the past few years. Perhaps their best option early on is right winger Jonas Røndbjerg, a 2017 draft pick of the Vegas Golden Knights. Currently a member of the Vaxjo Lakers team in Sweden, Røndbjerg had an impressive four-point performance in eight Champions Hockey League games this year before getting a permanent role with the team in club action. He was Denmark’s top player at the 2017 Under-18 World Championships thanks to nine points in five games, just months removed from his second World Junior tournament. At the age of 18, and with the potential of another appearance next year, Røndbjerg will be asked to become a key figure on Denmark’s roster in his third crack at the U20’s. Portland Winterhawks forward and San Jose Sharks prospect Joachim Blichfeld is off to a good sophomore campaign in the WHL, averaging over a point-per-game as a 19-year-old. Denmark’s second line center from last season brings speed, a good shot and a goal-scoring ability that truly makes him a dangerous threat each night. Nikolaj Krag Christensen hasn’t had a good season on the ice, failing to record a point in five Mestis games with LeKi before getting released in mid-November. Now with Rungsted Seier Capital until January 1st, this would be a good time for Christensen to prove himself in front of potential NHL scouts. One of Denmark’s better players at the Four Nations tournament, Magnus Molge is on pace to double his point total from his first full U20 season in the Swedish SuperElit league. In all six of his Danish U20 games over the past two years, he’s managed to put up five points and if that trend continues, he could score a few in his only World Junior tournament. Jacob Schmidt-Svejstrup should also be expected to pot a few goals after a strong start to his season in the USHL, but this will be his first time representing the Danes at the U20 level. Christian Wejse will hope his move back to the Danish league from the QMJHL will prove successful as a returning player, while Vaxjo forward David Madsen will hope his cause in his second World Junior tournament. Projection: What Denmark does have on their side is chemistry, something that teams like Slovakia and Belarus will hope to thrive on. Many of Denmark’s key players have played together at various levels, giving them a familiarity that will at least get them going on the right foot. Their special teams, of course, will need to make sure they can thrive because that could be their only real chance of getting goals at a more consistent pace. They did well at the Four Nations tournament last month, but how will they fare against Canada, USA or Finland? As it stands, their match-up against Slovakia on New Years Eve is their best chance to steal a victory barring a miracle, but the Danes have been known to surprise again. But compared to other years, don’t count on it. Do you like nightmares? No? Then you probably didn’t want to be a Finnish hockey fan a year ago in Montreal. A year off of winning gold at home, the Finns struggled to score throughout the tournament, meeting up with Latvia in the relegation round. The team didn’t seem built to win, with poor coaching (head honcho Jukka Rautakorpi was actually fired during the tournament) and a lack of solid veterans leading the way. This time, the Finns look ready to compete for another gold. Sure, the team struggled at the Four Nations event in Russia in November, but without many of their stars, it was bound to happen. In fact, Eeli Tolvanen should be their most dangerous threat to challenge for the scoring title in Buffalo. What does this year’s entry have in store in the United States this year? Goaltending: There’s one thing that Finnish goaltender Ukko-Pekka Luukkonen has to do: be good enough. Last year, Veini Vehvilainen was arguably Finland’s best player throughout, only to have his team get saved in relegation in one of Finland’s worst ever tournaments. This year, with a stronger roster overall, Luukkonen will just have to keep pucks out of the net less than Finland can score. Well, duh, but the point is that Finland’s offense and defense appears strong enough that as long as Lukkonen doesn’t blow any games, he’ll be fine. Of course, the Buffalo goalie is good enough to earn some wins. One of the best goalies in the Finnish junior league last year, Luukkonen has had a rough start to the year in the Mestis league, but his team isn’t doing much to help him. Defencemen: A potential defenceman for the Finns at the Olympics too, Miro Heiskanen is set to lead the team on the blue line at the World Juniors after making his first appearance last year. The third overall pick in 2017 will be part of a more veteran defence core from a year ago, which struggled to limit scoring chances. He’ll be counted on to be a power-play leader, which works well considering how many minutes they’ll be counting on him for. Joining Heiskanen will be Urho Vaakanainen, a Boston first-rounder in 2017 looking to turn a nice season in Liiga with SaiPa into a big-minute performance at the World Juniors, his second time at the event. Vaakanainen has participated in many international tournaments at various levels, but he’s never been counted upon as a leader as much as he will be this year. New York Islanders prospect Robin Salo is hoping his good World Junior Summer Showcase tournament will earn him more ice time as a 19-year-old, making his lone appearance at the tournament. Tri-City Americans star Juuso Välimäki is well on pace to hit at least 70 points in the WHL this season, and also hopes to chase his first gold medal with the Finns since the 2016 U18’s. And how could we forget the fifth overall pick in the 2019 NHL Draft, Olli Juolevi? He’s been off to a tremendous first-half of the season with TPS, his first year in Liiga after winning the Memorial Cup with London last year. Juolevi was one of the best players at the World Juniors in 2016, leading all defencemen with nine assists to help Finland win gold. If there’s a position the Finns are lacking in, it’s surely not defence. Forwards: There are few players with as hot of a start to the international year as Nashville Predators prospect Eeli Tolvanen. An offensive specialist with a knack for punishing teams on the power play, Tolvanen played the first few months of the season at over a point per game average with Jokerit in the KHL, a massive accomplishment for any 18-year-old. At the Karjala Cup, Tolvanen helped the Finns grab gold at home thanks to three goals, including the tournament-winning marker against Canada. The Finns have had some good NHL drafts in recent years, and Winnipeg Jets first-rounder Kristian Vesalainen is no exception. A big forward with a great shot, Vesalainen’s two points from last year was a fluke when compared to the rest of his international resume. Vesalainen will be a star in the NHL one day, and when hooked up with Tolvanen on the wing, it’s going to be an unfair duo for the rest of the teams. Boston Bruins draft pick Joona Koppanen is having a good debut season with Ilves in Liiga and he was one of Finland’s stronger players at the Four Nations event last month as well. Montreal Canadiens prospect Joni Ikonen was one of Finland’s best players at the World Junior Summer Showcase, while Janne Kuokkanen, who played four games with the Carolina Hurricanes to kick off the year, was simply a force to be reckoned with after five points in five games. Oh, and don’t forget about Aleksi Heponiemi, who is simply dominating the WHL this year and will easily surpass 100 points. Five European teams will challenge the defending champion Canada at this year’s 91st Spengler Cup. The following is an analysis to determine the present form of the participating teams with just 2 weeks remaining before the tournament begins. The Cup newbie, HPK, has been unable to equal their strong performance from last season in the Finnish league. The team is presently placed 12th in the standings and recently suffered a 3-game losing streak. With 12 points out of the last playoff spot, there is still hope. Perhaps their participation in the Spengler Cup will provide the team with the self-confidence and spirit they need. The Russian KHL has already completed 40 rounds. Dynamo Riga is still suffering from their miserable season start and continues to be placed last in the standings with no chance to secure a playoff spot. However, their recent game results have been better and better. In the last few weeks, the team from Latvia has had 2 wins against Minsk and Bratislava while only losing against CSKA Moscow 0:1. Riga will certainly give their all to save their season with a Spengler Cup triumph. Mountfield’s season is completely different. After 32 rounds in the Czech extra-league, Mountfield HK has been able to maintain their second place in the standings, only 3 points behind the leader Pilsen against whom the team won 6:0(!) last Sunday. Their direct playoff qualification is with 20 points ahead of the 7th placed team practically assured. Mountfield will travel to Davos with much confidence and even more ambition. Team Canada is always a tournament favorite no matter where they play. However, they could not fulfill the expectations – or the pressure they put upon themselves – at the demanding Karjala Cup this past November. With losses against Russia and Sweden as well as a close win against Switzerland 3:2, these results were well below the expectations of the North Americans who are used to success. We are all eager to see the response Team Canada will give at the Spengler Cup. Should you still wager that the Canadians will reach the final, you may just win that bet. The Swiss National Team is greatly looking forward to their participation in the traditional tournament. Swiss Ice Hockey also wants to secure their future before the Spengler Cup begins. As published in the media, Patrick Fischer is close to signing a 2-year extension to his contract as National Team Head Coach. It is not a surprise that Swiss Ice Hockey wishes to hold on to Fischer. Fischer took over the team almost exactly 2 years ago. After a slow start at the World Championships, the team under Fischer’s leadership made it to the quarter finals in Paris this past Spring. A strong performance at the Spengler Cup in front of a large Swiss audience will set the groundwork to obtaining a top spot at the Olympic Winter Games. Following last weekend, the host Davos is placed 3rd in the National League standings. With wins against Fribourg and Biel, the team achieved their second 6-point weekend this season. But this excellent ranking is deceptive. Their 10-point lead to the first playoff spot (9th place) is not huge and shows how compact the Swiss top league teams stand. “In this league, anyone can beat anyone – there are no weak opponents”, candidly stated the HCD Captain, Andres Ambühl.